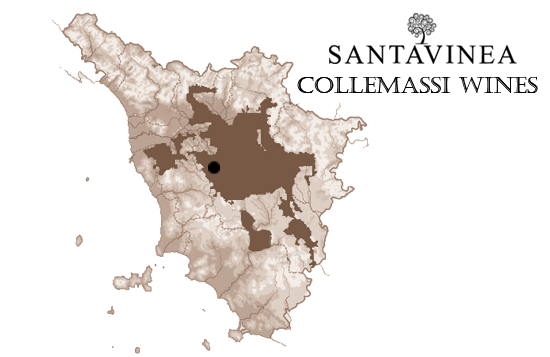 ColleMassi wines of SantaVinea come from San Gimignano area, near Siena. The production vineyards are on various levels, cultivated in part by native grapes such as Sangiovese e Canaiolo, and partly from international grapes such as Cabernet Sauvignon and the Merlot. Here the perfect combination of climate and soil and the thermal excursions, allows the production of excellent wines. ColleMassi wines respect the best Tuscan wine tradition that it combines with the innovation of processing. Chianti Docg: intense ruby red color, characteristic aroma of red berries. It’s a flavorful, harmonious, round wine. Toscana Sangiovese Igt: intense ruby red color, intense aroma of red berries, hints of vanilla, cinnamon; elegant, flavourful and harmonious.